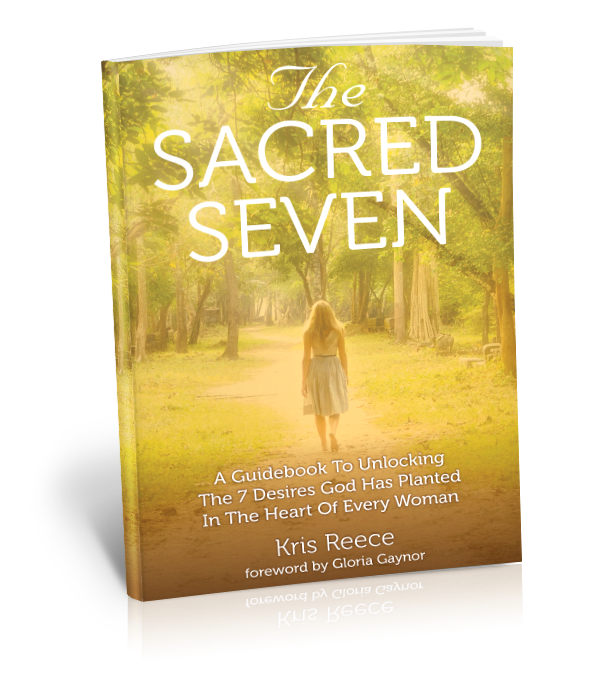 Kris’ new book The Sacred Seven is now available! In her powerful new book, Kris Reece gives you the straight talk you need to see your desires in a new, empowering way. She offers clear instructions for creating tremendous breakthrough in the seven key areas of your life. Shattered desires lead to pain and crushing disappointment. Author Kris Reece understands why women often spend a lifetime giving up on their hearts desires or chase them the wrong way, creating even bigger problems. Her book, “The Sacred Seven” will challenge you with powerful stories and practical applications on how to achieve the desires of your heart. If you are looking for a warm and fuzzy book to make you feel good while you learn to live with the mess of your life, this isn’t it. In fact, it will make you uncomfortable as she calls you out to make the changes necessary to experience lasting change. You owe it to your self to push past the pain to get back onto the path God designed and the truth Kris shared in these pages can take you there. Kris Reece is passionate about helping women break free from the demands of this world and live a life of peace and purpose. Her desire is to help others have more, be more and do more. No stranger to muscling her way through life, Kris made one head-strong choice after another, leading her down many dead-end paths until she decided to fully surrender and gollow God’s path for her life. Today she knows firsthand how easy and rewarding it is when you do things God’s way. Kris’ career path began in the field of fitness, as the owner of a personal training studio. While she had fun helping people achieve a level of health and fitness they never thought possible, she felt something was missing in her approach to creating wellness, something vital: inner healing. This longing to truly help people change from the inside out led to a complete life and career transformation. Now Kris spends her days coaching, counseling and speaking to women, helping them become all they were created to be and breaking through barrier that have held them back. 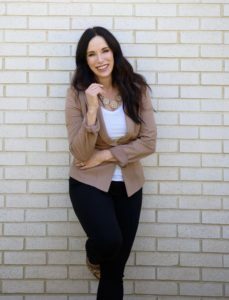 She is a Personal Development Coach and a Licensed Clinical Pastoral Counselor and holds her Ph.D. in Christian Counseling and is currently working toward an MA in Theology. Kris has her coaching and counseling practice in Warren, NJ and lives in Hillsborough NJ with her husband Jean Paul. They are the proud parents of three children – Zoe, Amanda, and Zachary – and two fur babies – Daisy and Buster.